There’s more to open water swimming then taking a dip in the sea. Ireland’s lakes and rivers are up for grabs too! Here are our favourite wild swimming spots. Looking for a way to reinvigorate your tired swimming routine? Open water swimming has exploded in Ireland in recent years. It’s a great way to build fitness while adding a dash of adventure to the mix. There are plenty of beautiful spots around the coast to go swimming but here we’re going to look inland. Ireland’s rivers, lakes, and loughs are waiting to be explored and we’ve picked a few that should be on everyone’s wild water swimming hit list. Lough Derg is 118km2 making it one of the biggest lakes in Ireland. Its name comes from the word Dagda meaning ‘red eye’. Once you’ve waded out you will find that the water is clear and blue and there are magnificent views across the lake. It’s best accessed via a short drive from Killaloe. Watch out for the algae growth on the water’s surface during the summer months though. Killary Harbour takes in some of the west coast’s most striking scenery. It runs 16km in from the Atlantic, deep into the heart of Connemara. It’s easiest to use the village of Leenane as a base and work from there. There is an annual race called the Great Fjord Swim, which is open to all, and really worth signing up for! This is a great spot to take a dip in and chill out while surrounded by the Mweelrea mountain and the epic Connemara landscape. 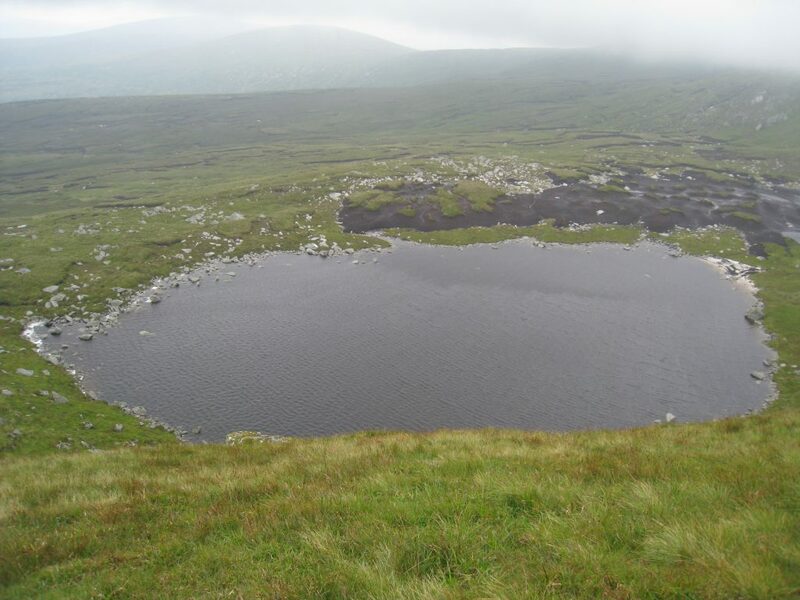 Situated at the base of Mullaghcleevaun Mountain, Cleevaun Lough is a stunning corrie lake. This spot can only be reached at the end of a two-hour hike and offers a great location to cool off before tackling one of the summits. The water is crisp, cold and welcoming and because of its remote location, you’ll rarely have to share it. 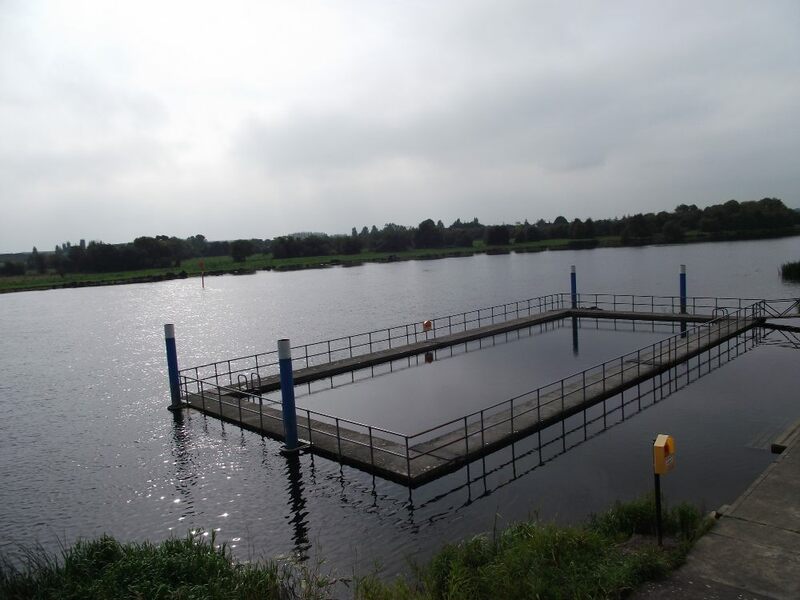 Banagher outdoor pool is one of Irelands most unusual pools. It’s located in the River Shannon, with Galway on one side and Offaly on the other. This pool is perfect for an early morning swim. It’s an old-fashioned concrete design which in our opinion adds to its charm. The water is clean and blue and you’ll be able to dry off with a picnic on the riverside afterwards. Bliss! Up near the top of Dingle’s Conor pass, you’ll find an idyllic little lake called Peddlers Lake. It’s a bit of a climb up to reach it and the water will be chilly… but wow, what a view. There is nothing quite like swimming in the mountains. This particular corrie lake is set against Mount Brandon – the highest Irish peak outside the Macgillycuddy’s Reeks. Be careful on the rocks as you slide in! As the second longest river in Ireland, there are several great spots to take a dip in. One of our favourites is the section between Graignamanagh and St. Mullins. Take a scenic walk along the 8km Barrow Line South between the two villages and finish off with a bathe in the crisp waters. There’s a diving board along the route aswell! At 707 metres above sea level, Cummeenoughter Lake on Carrauntoohil is Ireland’s highest lake. 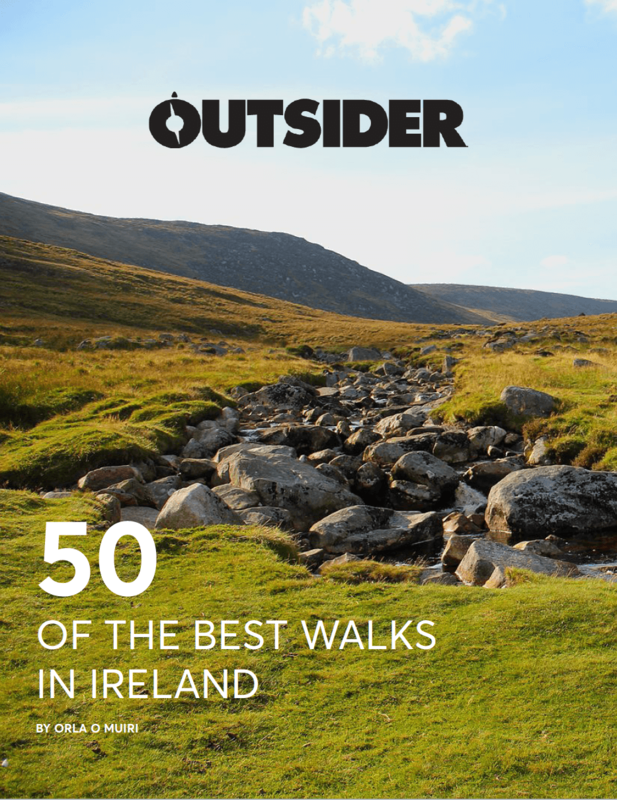 This means it’s probably one of Ireland’s coldest lakes too, but we reckon it’s worth it, both for the bragging rights and the unparalleled scenery you will see from the water. The way up is a scrambling route so don’t head into this challenge naively, it’ll be tough. Climb up through the ‘Step of the Goat’ and up to ‘Brother O’Shea’s Gully’ to get there. Another of Kerry’s fresh water lakes is Glanmore Lake on the Beara peninsula. An idyllic swim spot for head-up breast stroke where you can cruise through the tranquil waters, weave around the many rock islands, all the while taking in the view of the backdrop, the Caha Mountains. Loughrea Lake is a large limestone lake in Galway. It’s very popular amongst the locals and has facilities, lifeguards on duty over the summer months and two piers for diving. It’s the lake to bring the family for a day, but if you want some peace and quiet we’re sure you’ll have the place to yourself in the winter months.